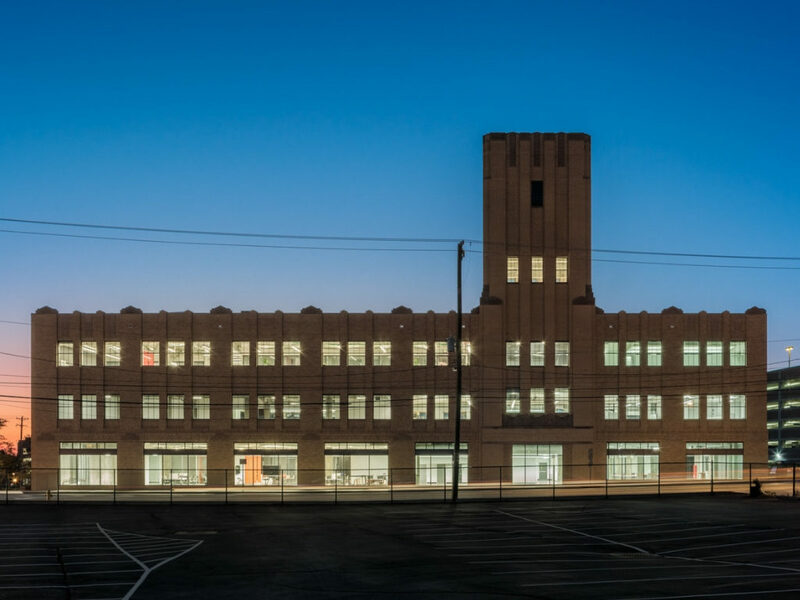 In September of 2018, A359 finished a 3 year engagement with the University of Cincinnati for the adaptive reuse of a former Sears Department Store into a collaborative Innovation Center. 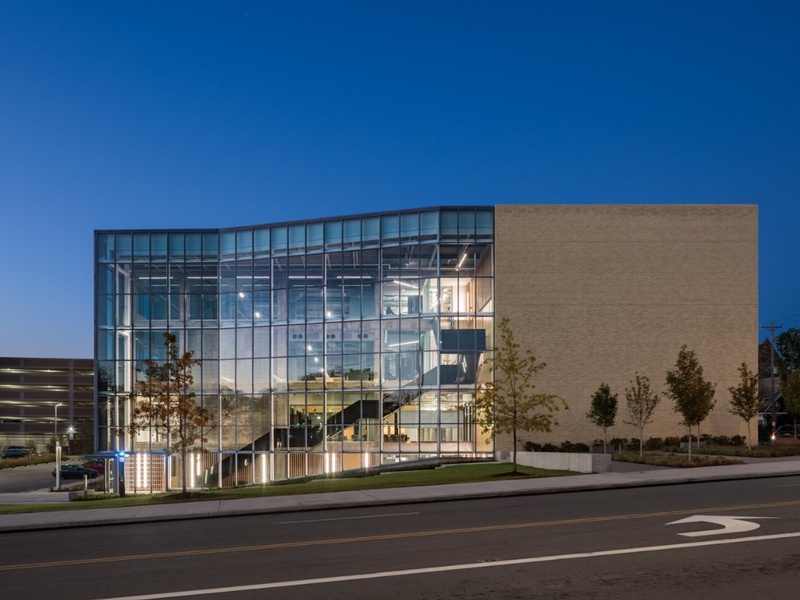 Located off campus along a future “technology corridor” and in an urban renewal zone, the University of Cincinnati saw the potential for this existing building to become a strong asset for the University and a catalyst to jump-start development along this corridor. Given its proximity to the university campus, UC and Cincinnati Children’s Hospitals, and a new interchange connector to I-71, this site was in a prime location for UC’s vision of a facility to bring together students and faculty, businesses, non-profits, and researchers to foster innovation. 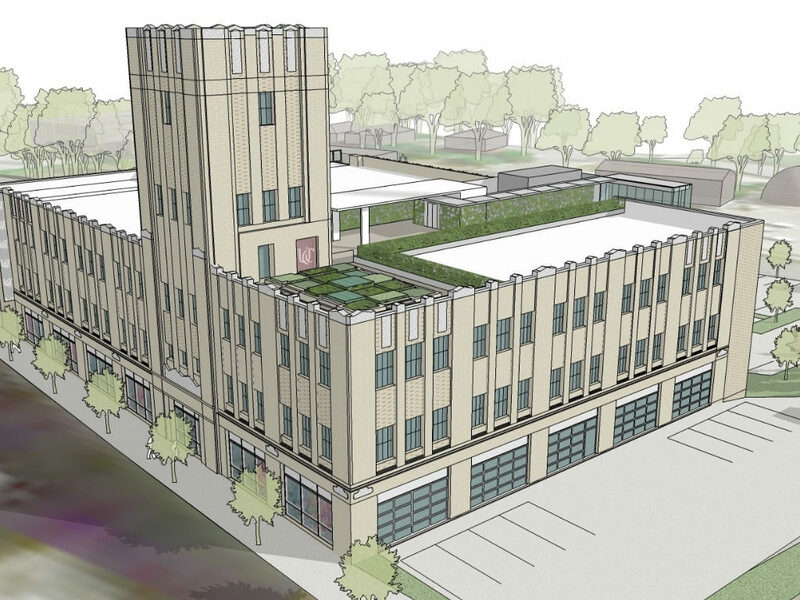 We studied the building to determine if it could be repurposed to support this vision and developed concepts for this transformation. When A359 was first initiated to undertake the renovation of the UC Central Services Building it had been dormant for a significant time. 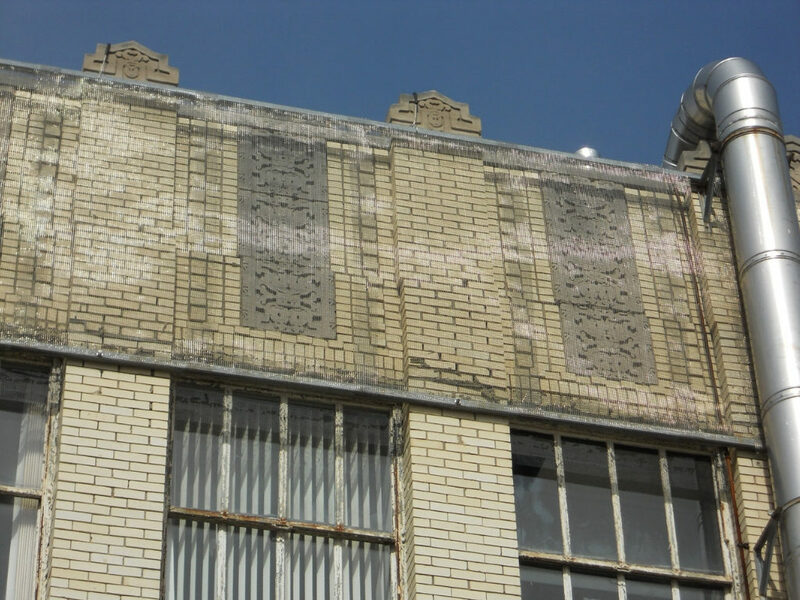 Formerly housing university-based offices, the 1920’s Art Deco Structure was in significant disrepair with a failing roof, failing parapets, and high-pile corrosion in exterior walls which resulted in significant masonry displacement. The existing facade had also been modified extensively over the years. 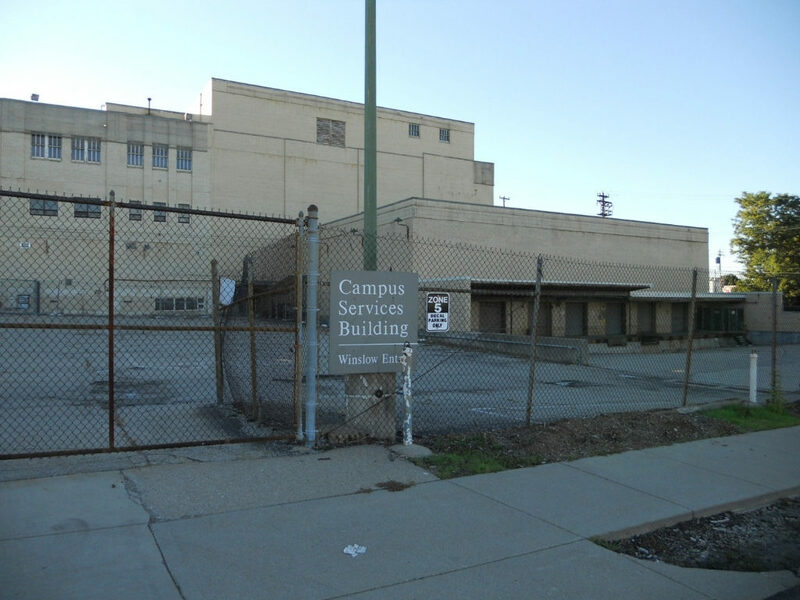 Originally contemplating demolishing the structure, UC saw value in maintaining this historic fixture for the neighborhood and recognized the sustainable nature of salvaging the facility for adaptive reuse. 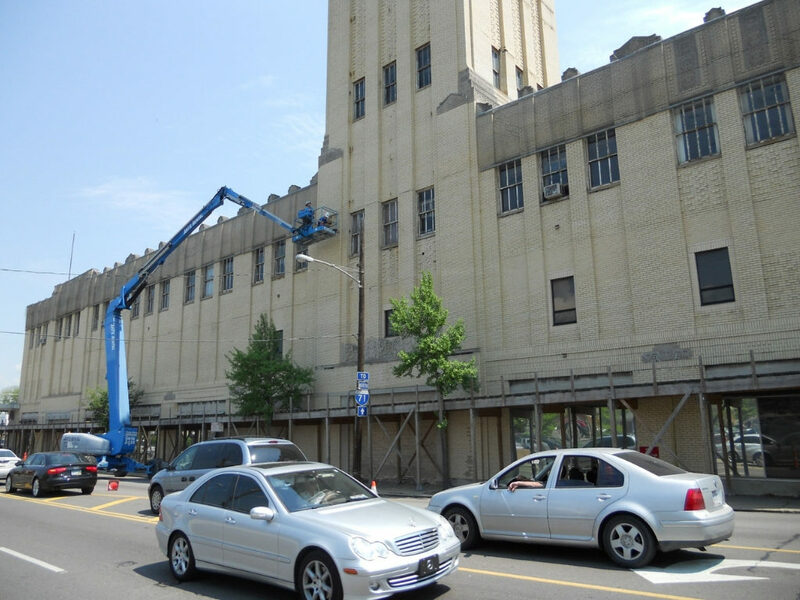 A359 and consultants THP and Hardlines Design studied the structure and delivered detailed reports and cost studies to the client which allowed for key decision -making resulting in selective demolition of a later addition and loading dock, facade rebuild for code compliance and full restoration of the tower component including historic details. 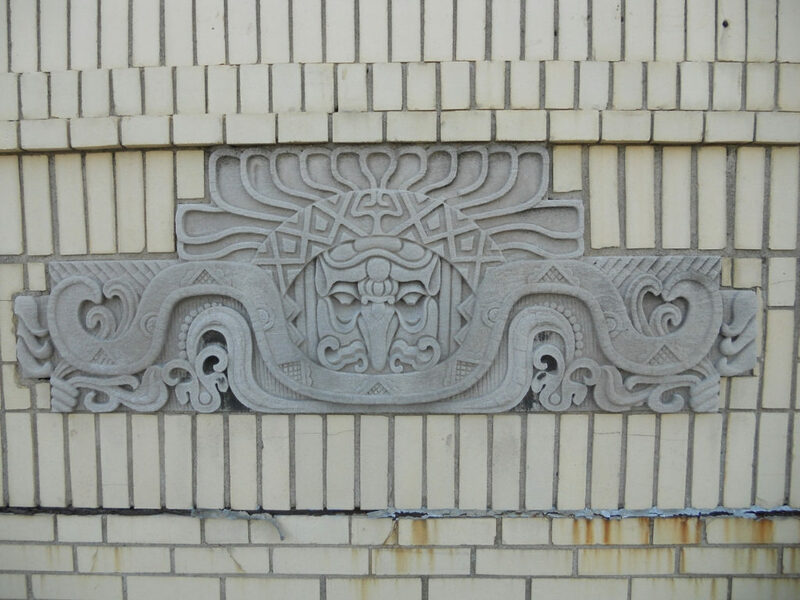 Original 1920’s drawing sets and photos were used to develop a template for rebuilding the failing flanking facades to match the original masonry detailing and stone accents. 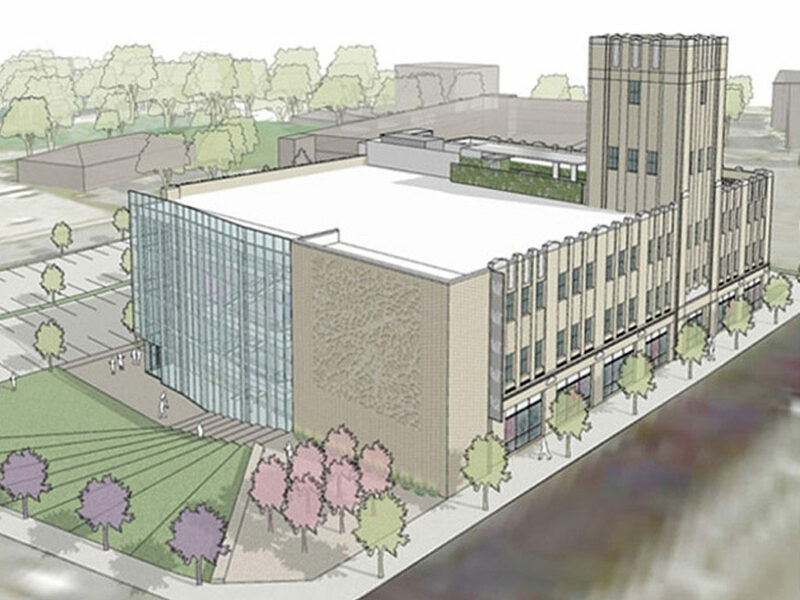 The planning for selective demolition of a later addition provided an opportunity to develop a new 4 story atrium to the North which allowed for new pedestrian access, the claiming of a former “basement” level as the primary entrance level, and the infusion of natural light into the space. This atrium provides evident vertical transportation to all floors and connects each level with shared huddle spaces and overlooks from adjacent tenant spaces. Envisioned as a casual social or touch-down work area, the space can also be used for receptions and other events. Immediately adjacent to the atrium to the West is a new high bay space that was developed to house large equipment that might otherwise not function in the existing floor-to-floor height of the lower level in the facility. 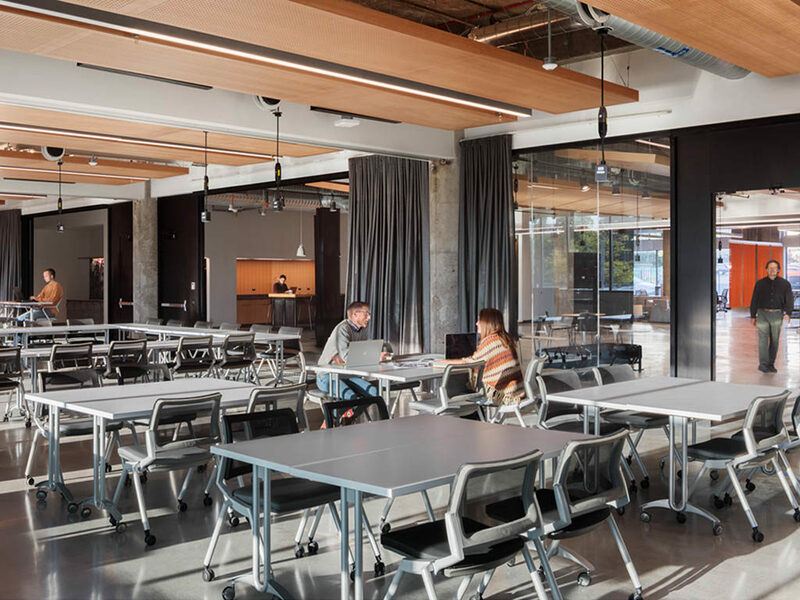 Natural light was infused into this space and overlooks from collaborative student labs on the level above provide visual connectivity and allow for students and visitors to see the working maker space below. The remaining site to the North was developed into open space including an expanse of green lawn, a shaded plaza with outdoor seating, and a public bus stop. The existing parking lot was re-developed to include a bioswale and new landscaping. 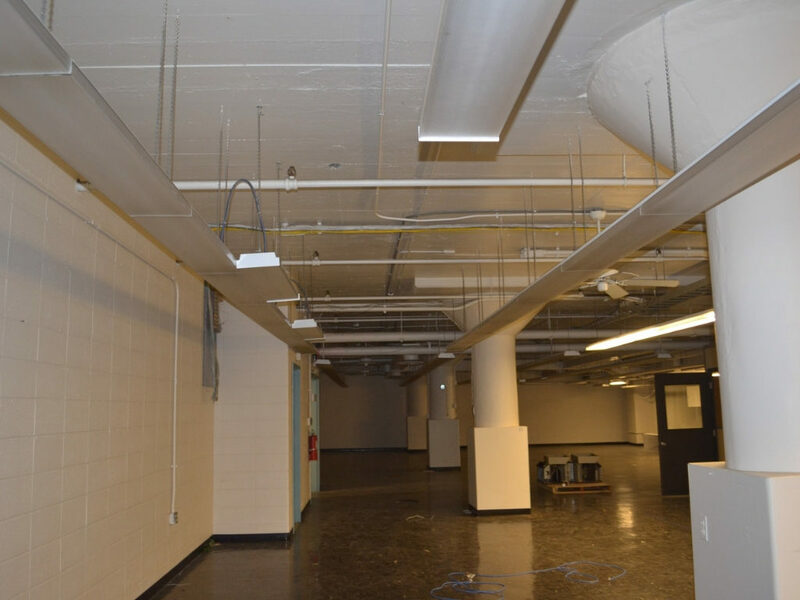 The lower level off of the first floor atrium is outfitted as a Maker Space where university students, faculty, and industry tenants have access to specialty equipment for research, exploration, and creation of new ideas, objects, and products. 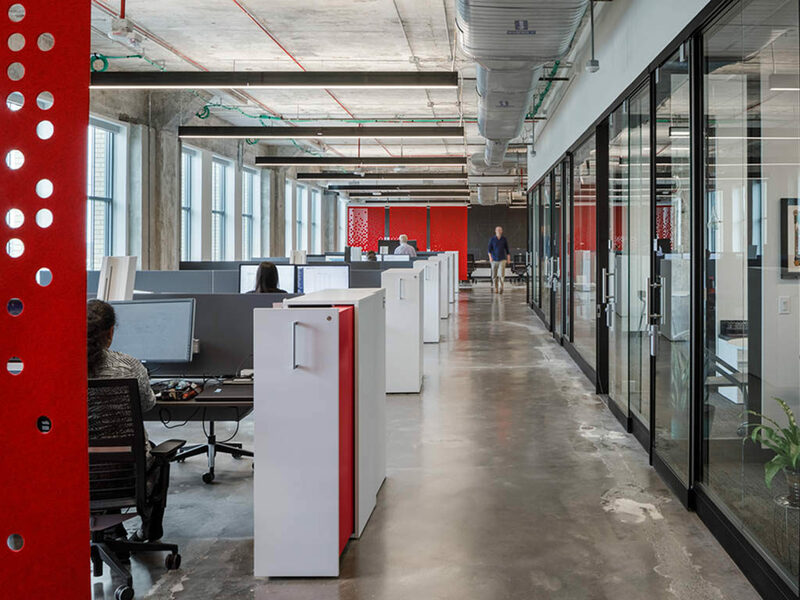 The space is outfitted with a broad array of tools from traditional to state of the art – including high-performing 3D printers, laser cutters, CNC router, and a waterjet cutter. Portions of the Maker Space were developed with deep, isolated foundations for large scale, sensitive equipment. 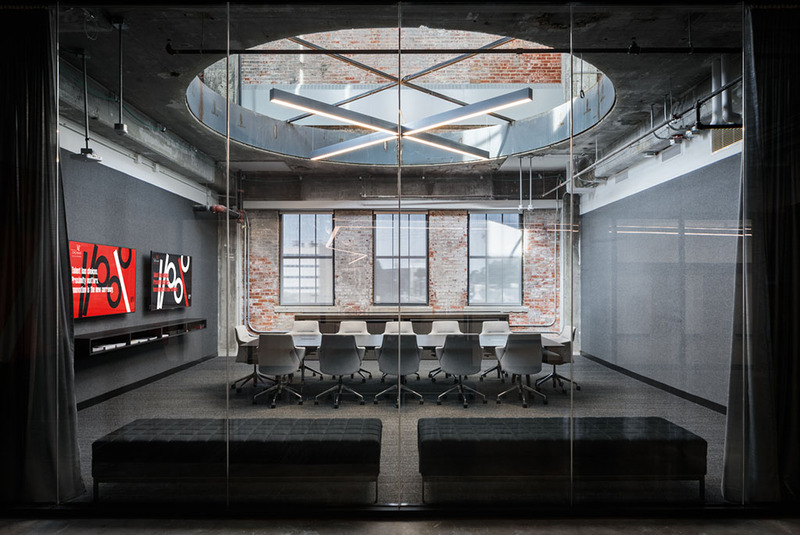 A fabrication area with natural light anchors the north end of the space and is connected visually to the Venture Lab above. This area is equipped with lockers to allow for ongoing student projects and group work. Classes and industry workshops are also held in this area. 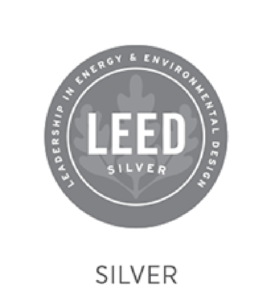 From the earliest design stages common shared amenities were designed into the project. 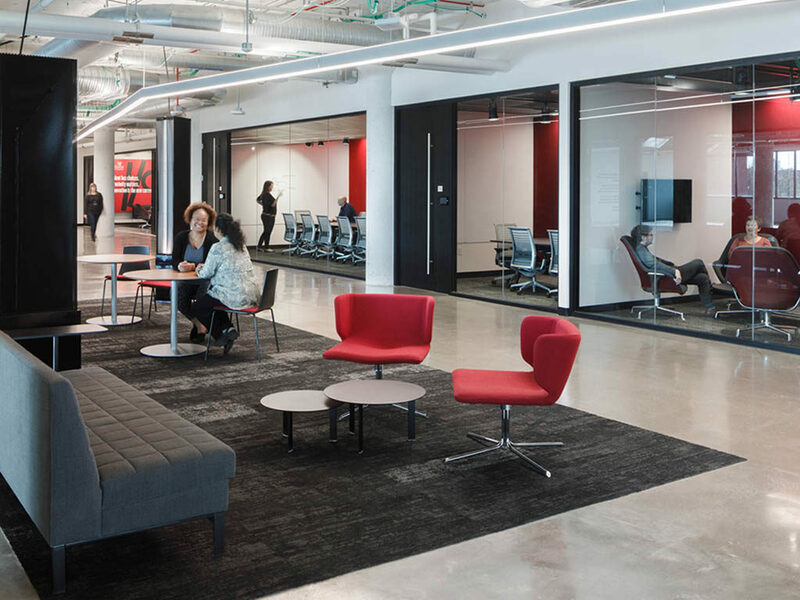 These central areas are the connectors which link all of the building’s shared spaces - flexible classrooms, conference rooms of varying size, small group huddles, as well as open collaboration, social spaces, and break areas. The central location of these amenities on each floor and the specific lack of these spaces within each suite promotes the “collision” of the multi-faceted groups using the building – students, faculty, industry leaders, private corporations, non-profits, and researchers. 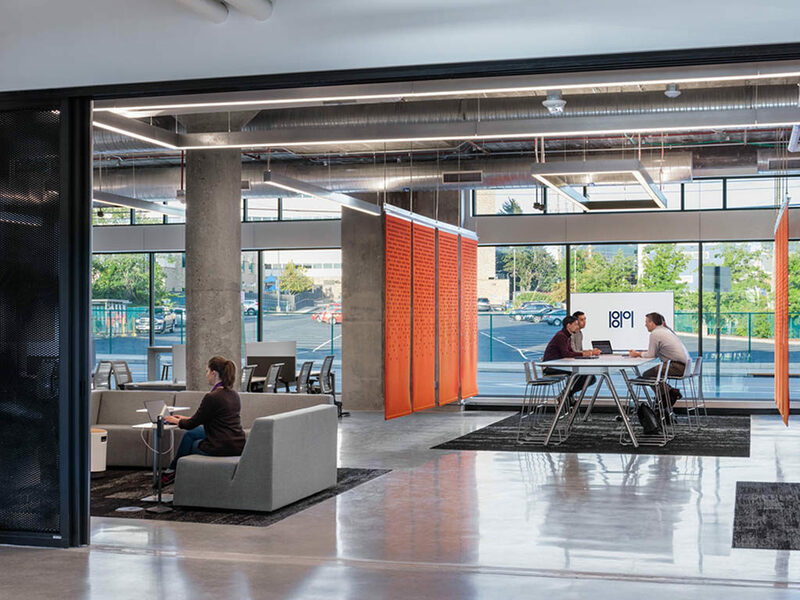 The integration of transparency or open mesh materials into the edges of each learning or lab space allows for visual connection and the ability for building users and guest to see the innovative projects taking place beyond the shared corridor. 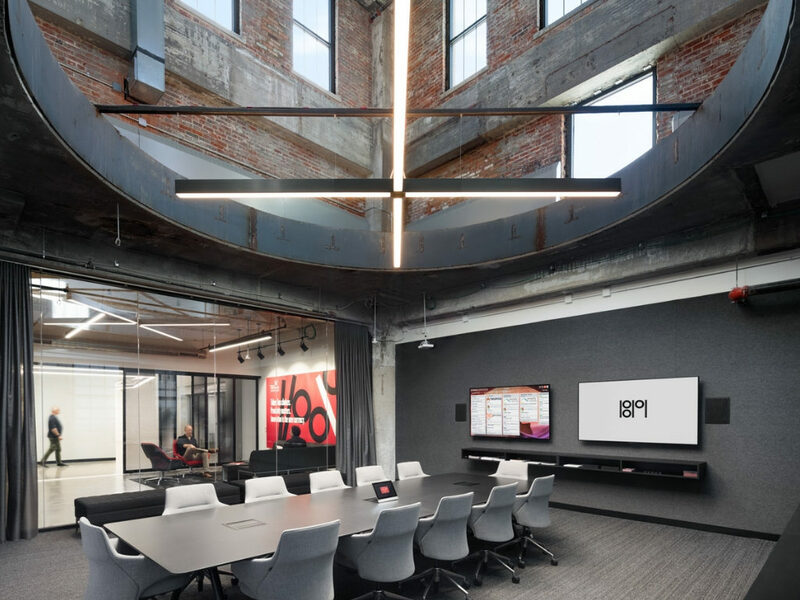 At the 1819 Innovation Hub the team used many methodologies to allow for flexible use, providing a constant lighting strategy, a range of power options to mitigate challenges with the existing floor structure, and worked to organize programmatic spaces to maximize natural light infiltration. 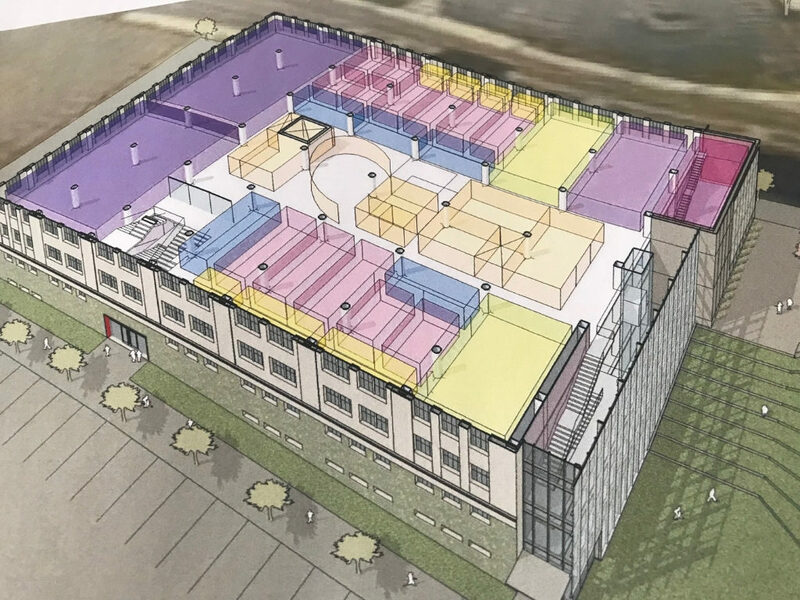 This 110,000 SF facility includes flexible classrooms, an 11,000 SF maker space, multi-purpose spaces with accommodations for natural light, shades, or black-out features, open office suites, and student and faculty labs. One of these spaces, UC’s Venture Lab, provides business incubation for student and professor led start-ups. 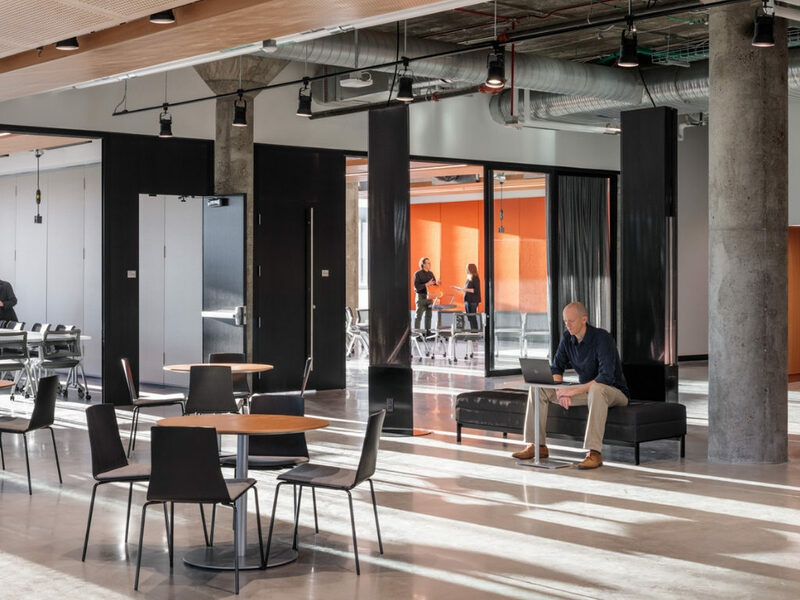 Additional open suites are leased to industry tenants, providing an opportunity for innovative companies, students and faculty to work collaboratively. 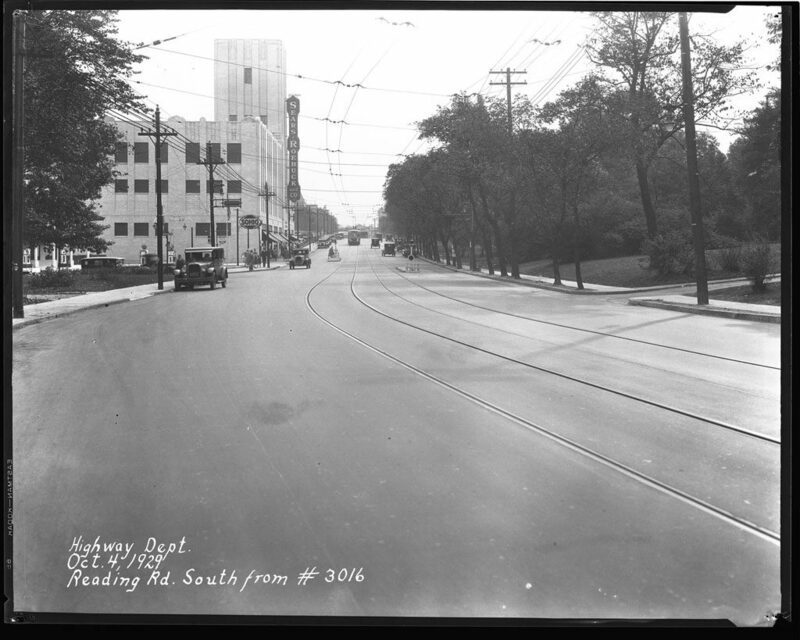 At the time of the grand opening, Cincinnati Bell, Kroger and Procter & Gamble had leased office space. UC’s Simulation Center, a partnership with Procter & Gamble capitalizes on the College of Engineering and Applied Science’s computer simulation expertise, providing engagement opportunities for students to study real-world business challenges. Additional tenants, Live well Collaborative and Village Life, are non-profit organizations that also foster innovation and creative research through the collaboration of students and industry partners. The work spaces are envisioned to be have multiple uses over the course of years, with simple methods for modification including convertible, plug and play furniture systems that can be re-utilized as needs change. Audio Visual considerations for changeable spaces were developed with mobile screens and lecterns. Electronic room scheduling allows for on-the-fly flexibility with meeting and classroom scheduling. A gallery space allows for rotating exhibits to showcase the innovative work going on in the facility. 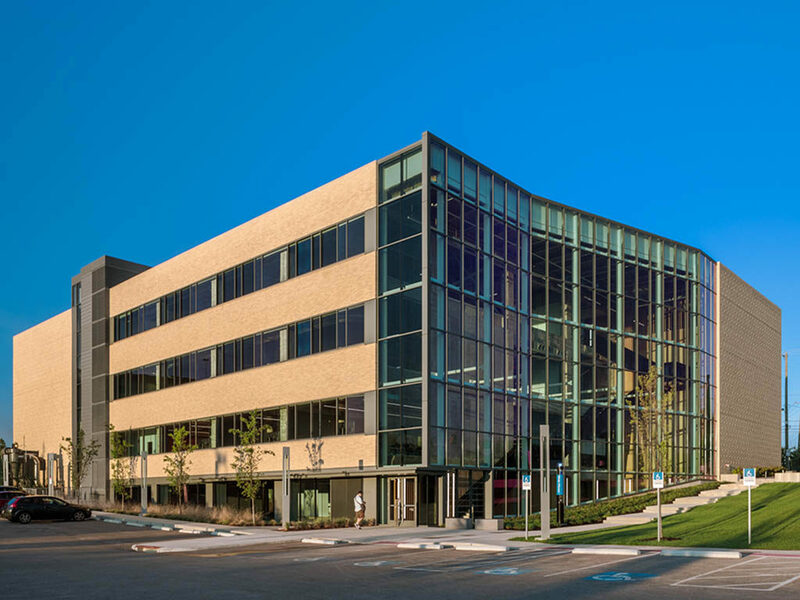 The building is managed by UC’s Office of Innovation which provides the creative direction and connection of key partnerships to drive innovation in our region. Led by David Adams, UC’s Chief Innovation Officer, this group occupies office space on the fourth floor which includes a shared conference room that sits at the base of the building’s tower. This space is designed to provide a unique visual connection to a key element of the building facade while welcoming collaborators to the facility. 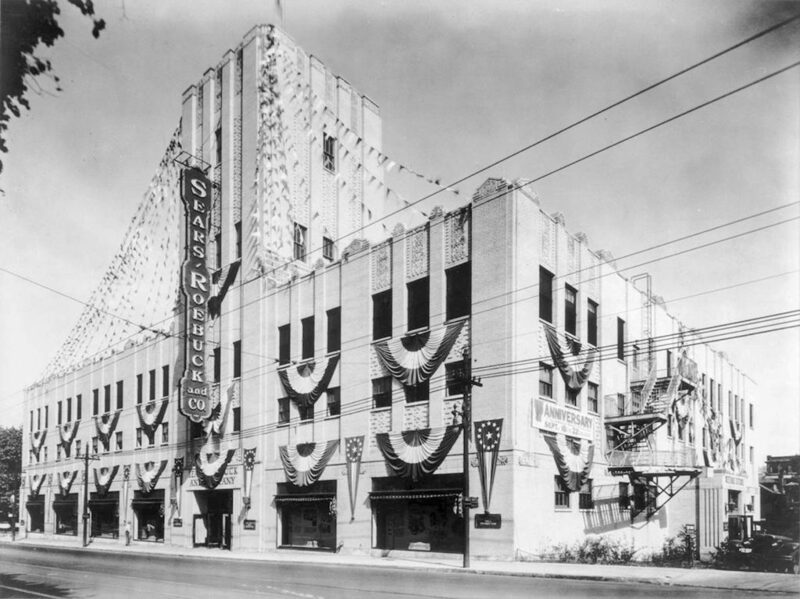 For decades, the Sears store served as a landmark for the Avondale neighborhood of Cincinnati. 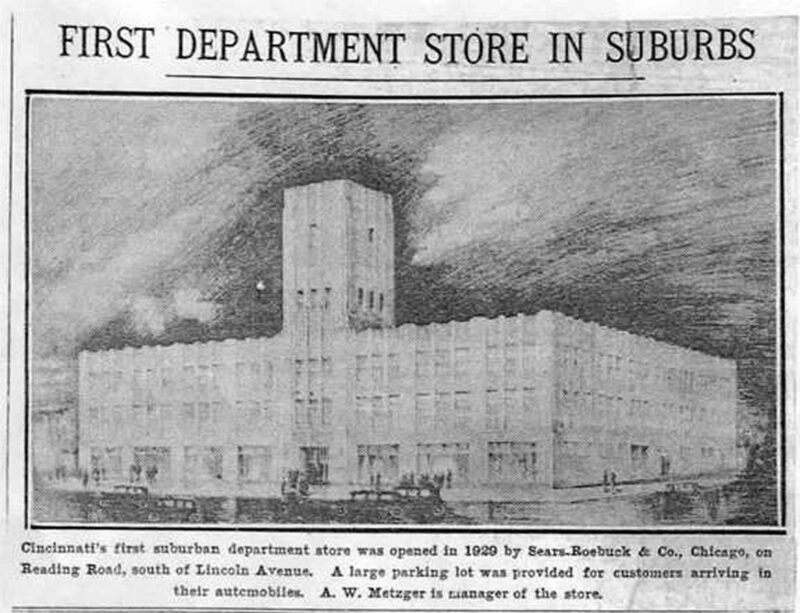 Designed by Chicago architects, Nimmons, Carr & Wright in 1924, it was introduced as the first suburban department store in Cincinnati. 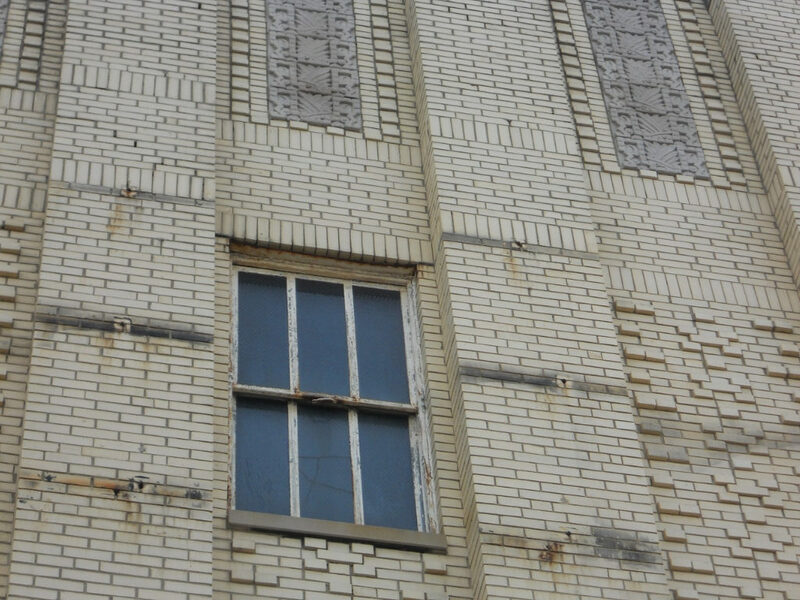 The brick building, adorned with intricate stone inlays and featuring an art deco influenced tower is a distinctive fixture for neighborhood residents and those traveling along Reading Road. 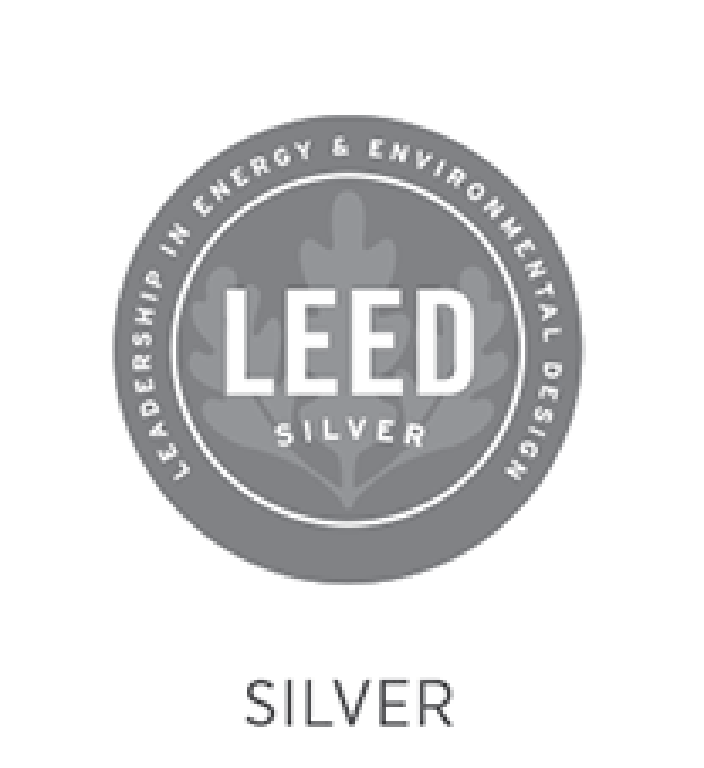 The adaptive reuse program allowed for a sustainable and community-minded solution that saved and restored this iconic structure. 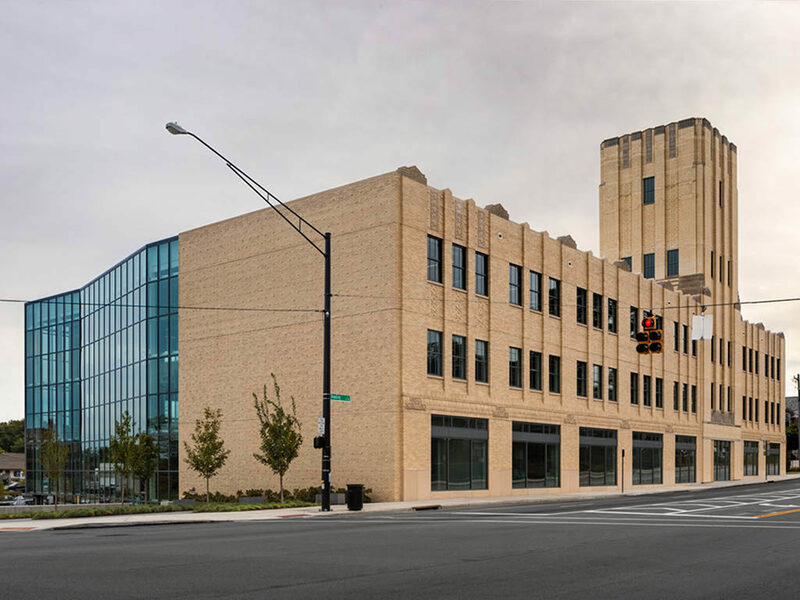 The building is now the anchor for the ongoing mixed-use development in the neighborhood and has been a catalyst for growth of the innovation district. One of the things I’m most excited about as we look to 2019 and beyond is our partnerships with the University of Cincinnati and the 1819 Innovation Hub, where UC students will work with local companies to develop drones, virtual reality tools and other technology. Our ability to grow that district is a direct way to compete for, attract and retain that talent, which ultimately we know will be the driving decision factor behind these platform company decisions. Does Cincinnati have the right tools for tech?